Roberto Valenzuela is a photographer and educator who has a talent for identifying areas where photographers regularly hit roadblocks and a passion for developing clear and concise systems that allow photographers to break through those barriers and become better, more confident practitioners of their craft. His two previous books, Picture Perfect Practice and Picture Perfect Posing, shattered the mold of instructional photography books as they empowered readers to advance their composition and posing skills. Picture Perfect Lighting, the third book in the Picture Perfect series, brings that same spirit and approach to teaching lighting. With it, Roberto empowers photographers to embrace lighting as a source of creativity and expression in service of their vision for the image. In Picture Perfect Lighting, Roberto has created a truly original system for understanding and controlling light in photography. After discussing the universal nature of light, Roberto introduces the five key behaviors of light, which are essential to understand in order to improve your knowledge of light. With those behaviors established, Roberto introduces his concept of “circumstantial light,” an ingenious way of examining and breaking down the light around you in any given situation. Providing a detailed analysis of circumstantial light, Roberto develops the top ten circumstantial light elements you need to know in order to fully harness the power of the light around you to create an image that is true to your vision. But how will you know if the circumstantial light is enough? The final piece of the Picture Perfect Lighting system is Roberto’s “lighting benchmark test,” a brilliant method for determining the quality of the light in any given situation. It is with the lighting benchmark test that you will determine if and when you need to use “helper light,” the light that is needed or manipulated in order to “help” the circumstantial light so that your vision comes to life. Helper light is created with diffusers, reflectors, flashes, strobes, and light modifiers. Picture Perfect Lighting covers all of this in depth. Light & Lens: Photography in the Digital Age is a groundbreaking introductory book that clearly and concisely provides the instruction and building blocks necessary to create thought-provoking digitally based photographs. It is an adventurous idea book that features numerous classroom-tested assignments and exercises from leading photographic educators to encourage you to critically explore and make images from the photographers' eye, an aesthetic point of view. 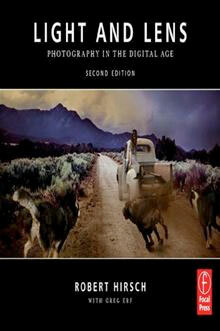 Acquire a basic foundation for digital photography. Light and Lens covers the fundamental concepts of image-making; how to use today's digital technology to create compelling images; and how to output and preserve images in the digital world. Explore the history, theory and methods of digital image-making. Light and Lens translates the enduring aesthetics of art photography into the digital realm. You'll view, capture and think about images from a new perspective. Increase your ability to analyze, discuss and write about your own work and the images of others. Learn with exercises and assignments by leading digital educators. Innovative techniques will train your eye to make the strongest visual statement. Solve visual problems and overcome image challenges. Whether you use a digital SLR or a point-and-shoot camera, you'll get new strategies to master composition, design and light. View the full range of the digital terrain with stunning images and commentary by over 190 international artists. 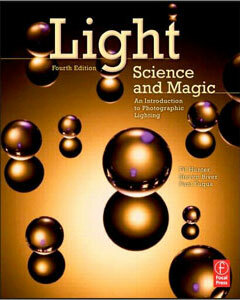 Light Science and Magic more than just provides set examples for photographers to follow. 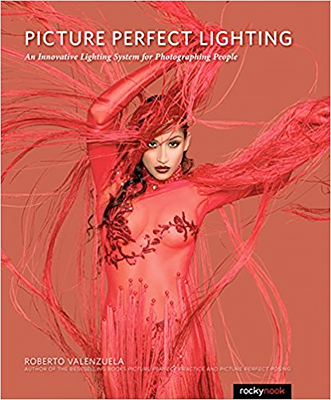 This international bestseller provides photographers with a comprehensive theory of the nature and principles of light to allow individual photographers to use lighting to express their own creativity. It will show you how to light the most difficult subjects such as surfaces, metal, glass, liquids, extremes (black-on-black and white-on-white), and people. 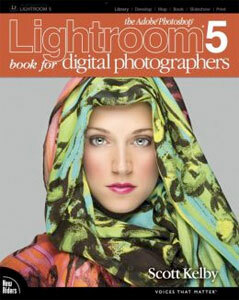 With more information specific for digital photographers, a brand new chapter on equipment, much more information on location lighting, and more on photographing people, this brand new fourth edition will make it clear why this is one of the only recommended books by Strobist.com. 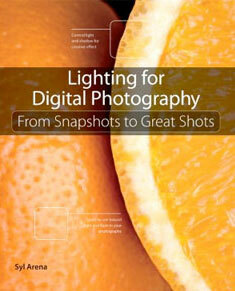 In Lighting for Digital Photography: From Snapshots to Great Shots, photographer and bestselling author Syl Arena begins with a primer on light itself—how to see its direction, intensity, color, contrast, and hardness—and quickly moves on to discussions of shooting both indoors and outdoors in the many different conditions of natural or man-made light. Then the book digs in to begin creating light with photographic lights, whether that’s small flash or big strobe, the pop-up flash on your DSLR or continuous lights. Follow along with Syl and you will: Learn the basics (and beyond) of light modifiers that make light bigger and softer, such as umbrellas, softboxes, beauty dishes, and diffusion panels. 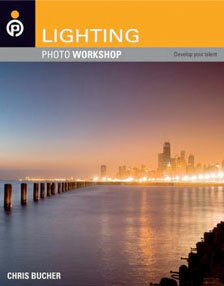 Understand how to control and shape the light itself with flags, grids, snoots, and the zoom function on your flash. Appreciate the color temperature of light (whether that’s the sun, a light bulb, or a flash), and how to influence it with white balance settings on your camera and colored gels on your flash. Learn how to take great pictures across many different genres, from product and still life images, to simple (and not so simple) portraits and group shots. 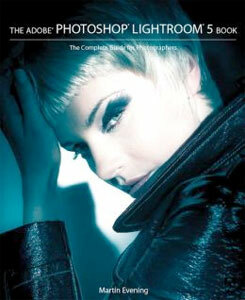 ince Lightroom 1.0 first launched, Scott’s Kelby’s The Adobe Photoshop Lightroom Book for Digital Photographers has been the world’s #1 best-selling Lightroom book (it has been translated into a dozen different languages), and in this latest version for Lightroom 5, Scott uses his same award-winning, step-by-step, plain-English style and layout to make learning Lightroom easy and fun. 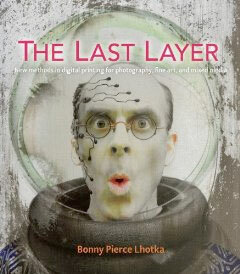 In The Last Layer–the follow-up to Digital Alchemy, her successful book on alternative printmaking techniques–Bonny Lhotka teaches how to make prints that take their inspiration from early printmaking processes. In this book, Lhotka shows readers step-by-step how to create modern-day versions of anthotypes, cyanotypes, tintypes, and daguerreotypes as well as platinum and carbon prints. She also reinvents the photogravure and Polaroid transfer processes and explores and explains groundbreaking techniques for combining digital images with traditional monotype, collograph, and etching press prints. By applying these classic techniques to modern images, readers will be able to recreate the look of historical printmaking techniques and explore the limits of their creative voice. Best of all, the only equipment required is a desktop inkjet printer that uses pigment inks, and a handful of readily available materials and supplies–not the toxic chemicals once required to perform these very same processes. Leveraging her training as a traditional painter and printmaker, Bonny Lhotka brings new innovations and inventions that combine the best of centuries of printmaking technique with modern technology to create unique works of art and photography. After years of experimentation and development, these new processes allow alternative photographers, traditional printer makers, and 21st century digital artists to express their creative voice in ways never before possible.